13 December 2011 – your first birthday! 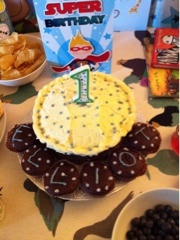 This entry was posted in Birth, Elliot and tagged birthday, cake, Elliot, poem. Bookmark the permalink.